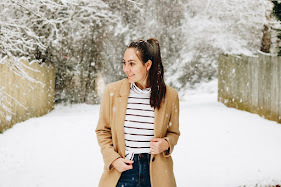 Welcome to the third installment in a 6 week series, Think Happy Thoughts! 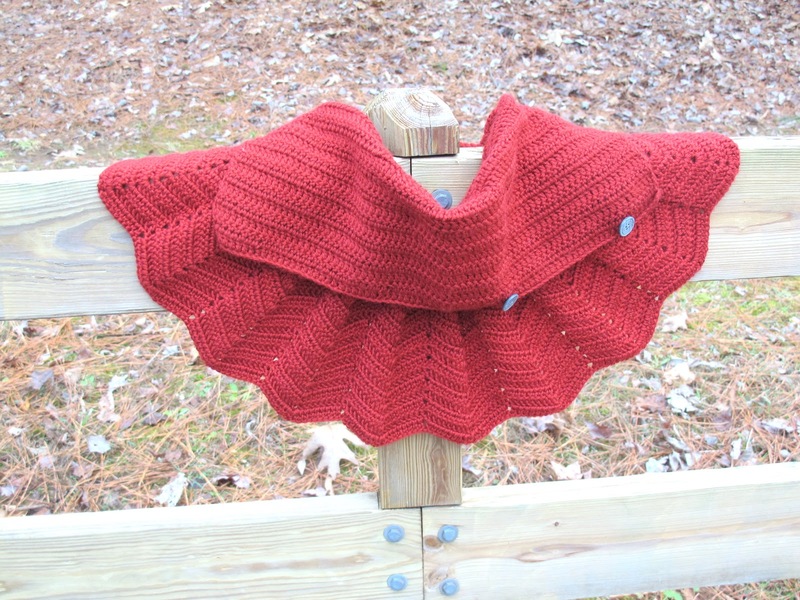 This week I am featuring a pattern that I used from the book, Little Crochet by Lisa Permann. Believe it, or not, this is one of the first real patterns that I have ever used! I got this book for my birthday last May and have been dying to use it ever since, but never found time for it. All of the patterns are so adorable. When Christmas rolled around and I needed to make something for my niece (Emma Jane...I'll be shipping it soon! 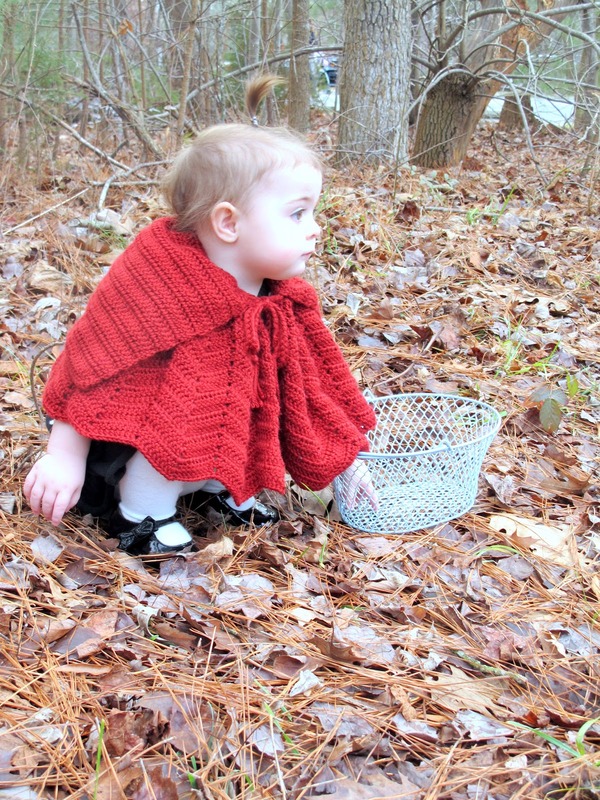 ), I decided on the Hooded Caplet from the book. If you don't have the book, you can also buy this individual pattern on Etsy, here. 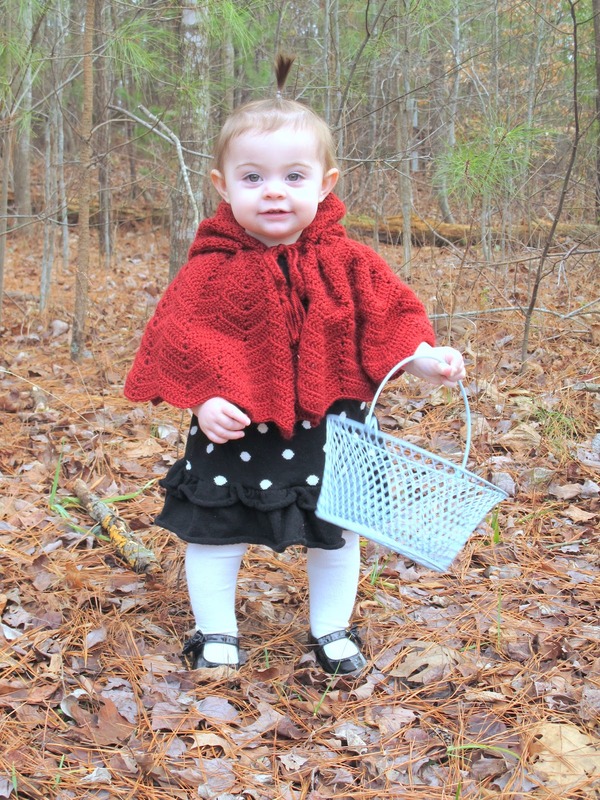 I used a dark red yarn, and of course my mind flooded with visions of Little Red Riding Hood. I followed the pattern pretty closely, but as I usually do, I made a few changes. The photographs of this cape in the book look much different from what I ended up with. 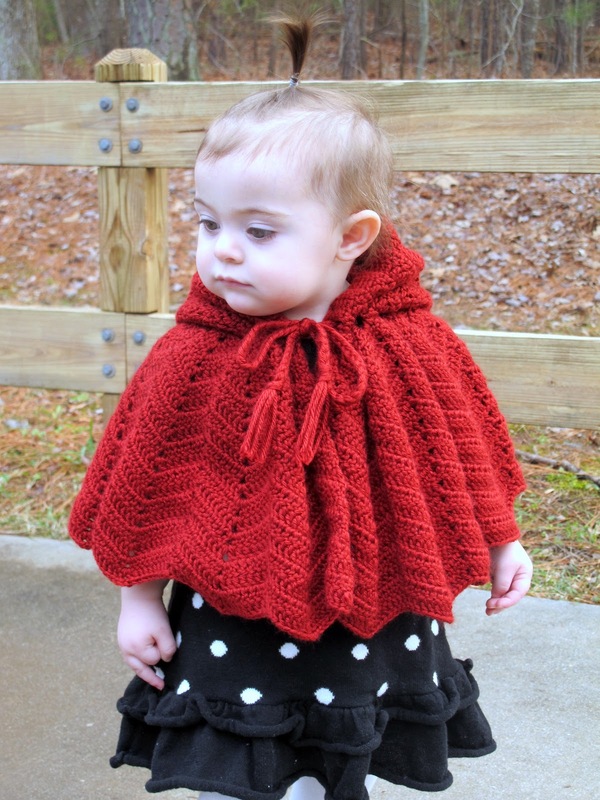 I think that is because I tend to crochet very tight, whereas the cape in the book looks more loose and stretchy. 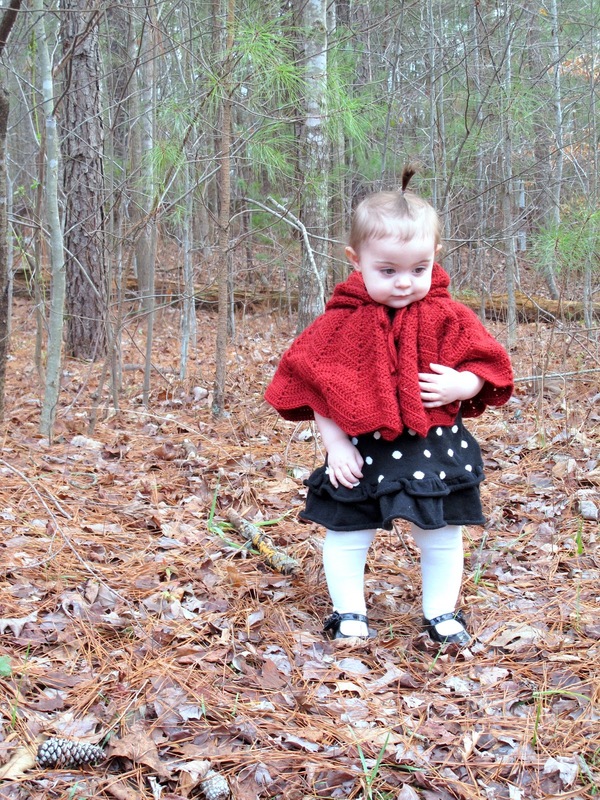 I decided to make my little red cape a bit shorter, coming right down to the elbows. And when it came to the hood, I tried to get a little creative. I wanted some versatility, and so instead of sewing the hood together, I attached 2 buttons. ...You can also detach the top of the hood, and use it as a fun collar. It can lay down flat, or be folded in half and buttoned around the neck. With this little alteration and the use of buttons, the possibilities are endless! 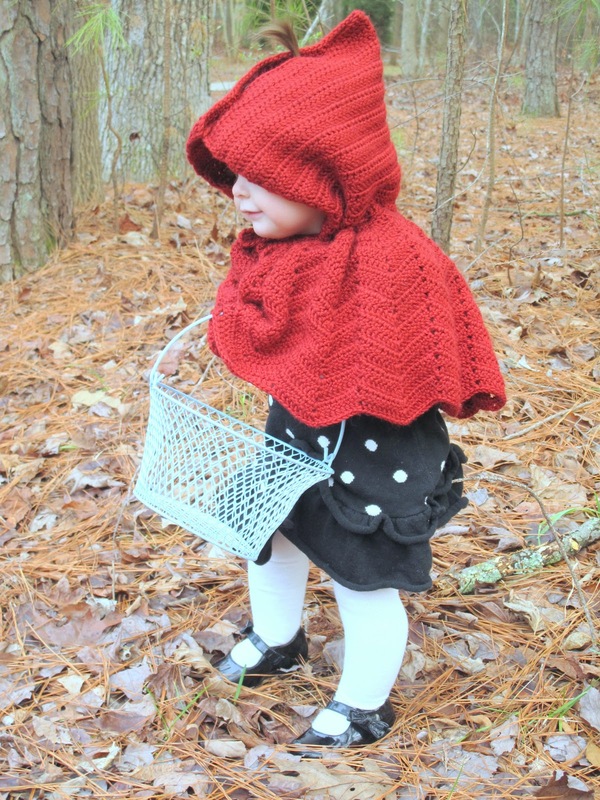 I fell in love with this little red cape as soon as I started making it. As I worked, I yearned to be 6 years old again, playing dress up and pretend with my buddies. 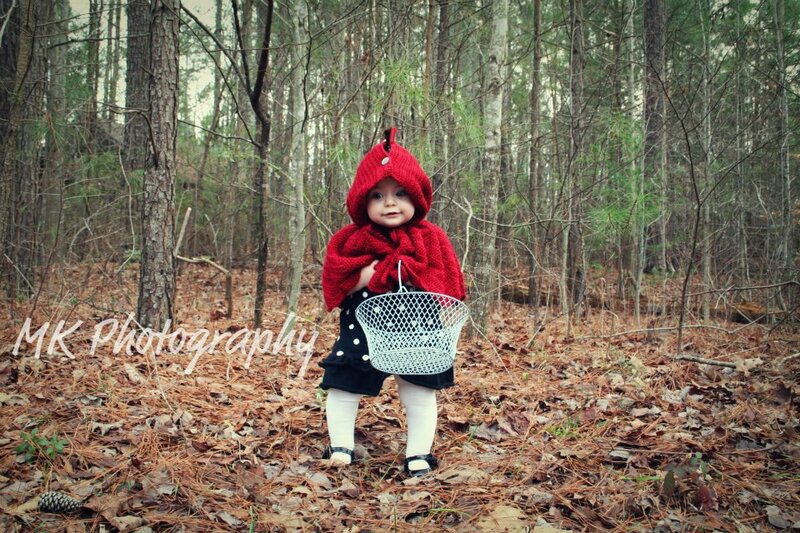 This would have been the perfect fairy tale costume. And since the boys in my house don't appreciate my fondness for dress up, I had to find a little lady elsewhere. 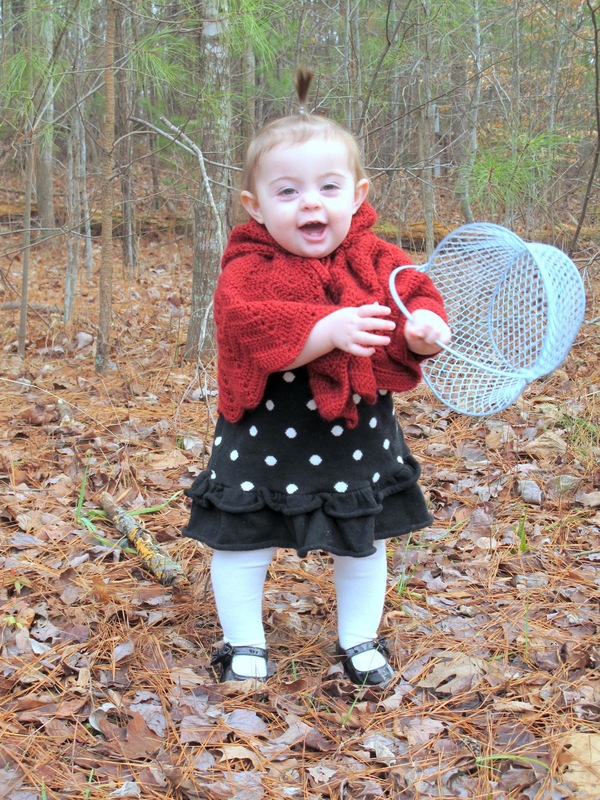 My friend, Megan's, darling little girl was the perfect model...cute as a button, and as still as a statue! 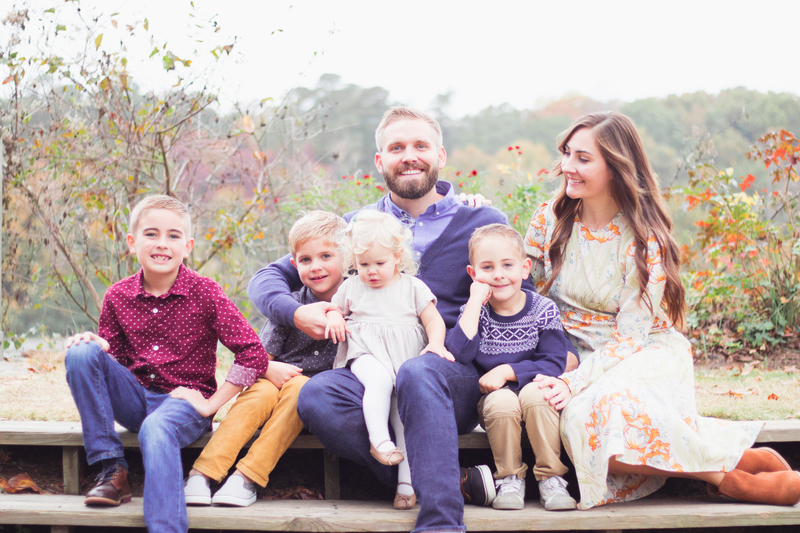 Not to mention, my friend is an amazing photographer and snapped a few great shots of her own while we were there. See? 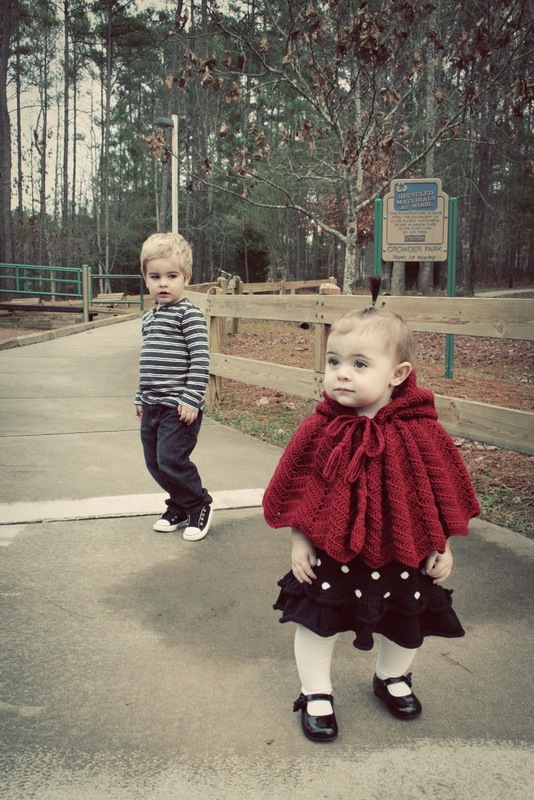 I told you she was cute as a button...Ande is already smitten! Have you tried out any new crochet patterns lately? 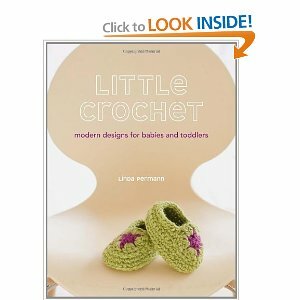 Have you used any from, Little Crochet? I'd love to see what you've been working on, come upload your projects in my Think Happy Thoughts Flikr group! LINDSAY!!! You are So talented. serious. I love all these happy ever after posts. WOW!